Some people are true weather bugs. Not only do they enjoy monitoring and studying weather, they actually want to be meteorologists. While being a bona fide atmospheric scientist usually requires getting a college degree and meteorological certification, there are plenty of people who bypass the formal education usually expected of today’s professional meteorologists. Instead, they train themselves in meteorology to become skilled amateur meteorologists. Professional and amateur meteorologists often share an equal passion for the weather. However, when becoming a professional meteorologist, you’re expected to demonstrate your weather knowledge through a series of tests and courses. Therefore, being an amateur meteorologist allows you to still enjoy the fun and science of meteorology without having to undergo months or even years of coursework. What Can An Amateur Meteorologist Do? Amateur meteorologists can fill a very important duty in their communities by providing insight on the particulars of local weather issues, observing and logging local weather events, or providing relevant weather data recorded from backyard weather stations. 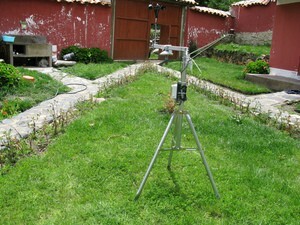 In an effort to provide more comprehensive weather data, there have been efforts to mobilize amateur meteorologists and encourage them to incorporate their backyard weather stations into a nationwide backyard weather station network. One such push has come from Weather Underground, a popular online weather service. Plugging your backyard weather station into a network such as Weather Underground’s gives you a chance to flex your amateur meteorologist muscles and contribute your resources toward helping your community. Making the leap from amateur weather watcher to professional meteorologist takes commitment. You usually have to earn at least a Bachelor’s degree in meteorology or atmospheric science to give yourself a good chance at earning a job in meteorology or weather. If you want to look into professional work as a weather researcher, you’ll want to aim for a Master’s degree or even a Ph.D. Formal study in meteorology and atmospheric sciences usually entails math, computers, and science courses. If you intend to enter the field of broadcast (if you’re interested in becoming an on-screen weather person, for example), you’ll also be well served to take courses in mass communications, public speaking, and perhaps some English courses. Don’t let all the rigors of becoming a professional meteorologist hold you back. If you’re looking to enter an exciting, ever-changing field that can be both personally rewarding and beneficial for the masses, a career in meteorology is definitely for you!